Windows 10 deployments can be a challenge for many IT departments. The OS comes with its fair share of issues related to storage, security, updates and more. 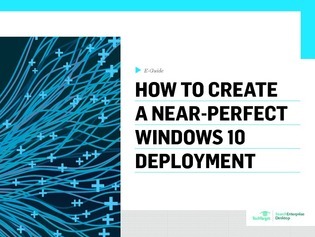 But there are plenty of ways around these challenges; IT just needs to know where to look for the information to solve them, to create a near-perfect Windows 10 deployment. Download this e-guide to learn tips to successfully deploy Windows 10 in your organization.